Managing opportunities in your sales pipeline can be a daunting task, but we’ve changed that! With our new Visual Pipeline, you gain total visibility into all your opportunities as you work them through your sales process. The Visual Pipeline has been designed around a proven pipeline management methodology and delivers a simple visual representation of your sales process. You can drag and drop opportunities to move them throughout the specific sales stages that you customize to match your sales process. 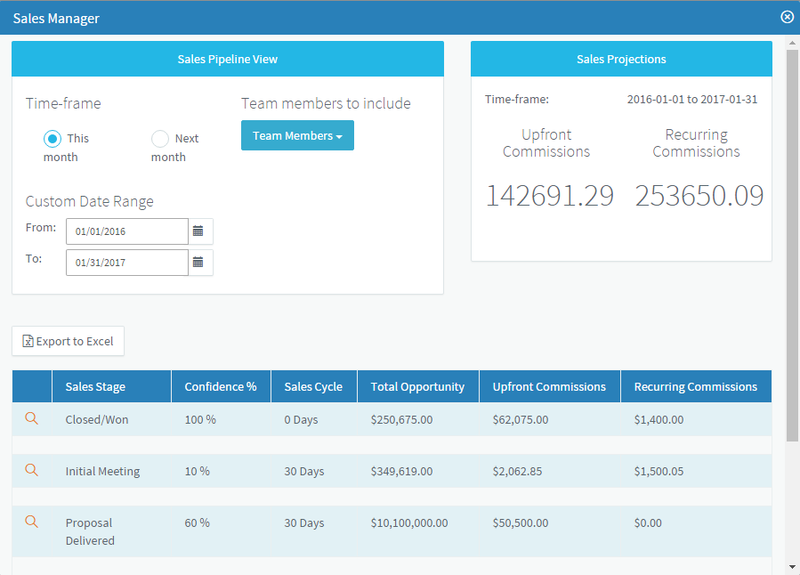 This new Pipeline view is so intuitive, yet effective, it can easily serve a single sales rep or an entire sales team. With all the most important data about your opportunities visualized on a single screen, you’ll be able to quickly identify who deserves your attention and close more deals! With the Sales Manager Report you can see all current sales activities for you and your team. 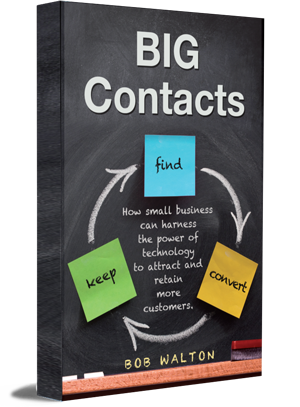 You can also drill down to specific contacts that make up your total sales funnel. 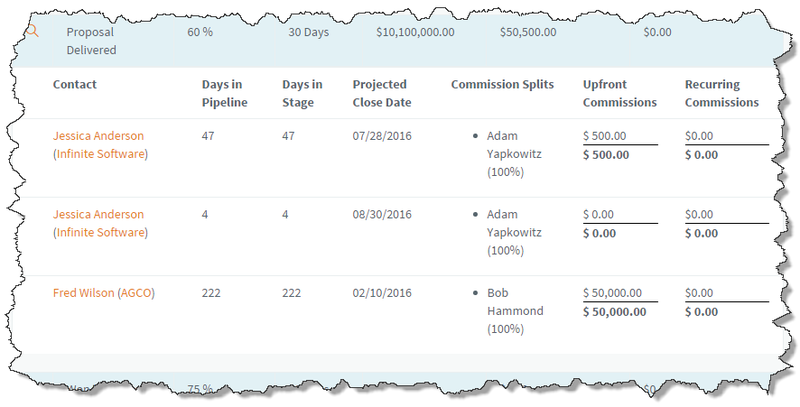 Click on the orange magnifying glass to the left of any sales stage and instantly see the details of each opportunity currently in that stage. A sales pipeline is simply the process you go through to close a sale. Using a pipeline makes it easier to track your business and make sure you are using a systematic approach to run your sales efforts. 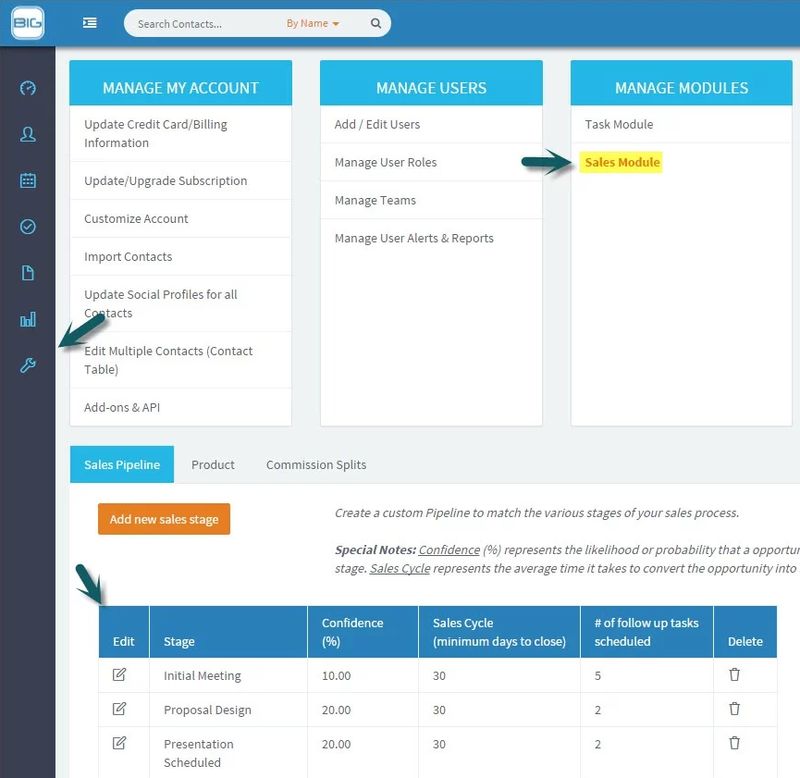 With BIGContacts, you can build a custom sales pipeline suited for how your sales process works. Automatically send personalized emails from your individual sales reps based on where you prospect is in your sales cycle. 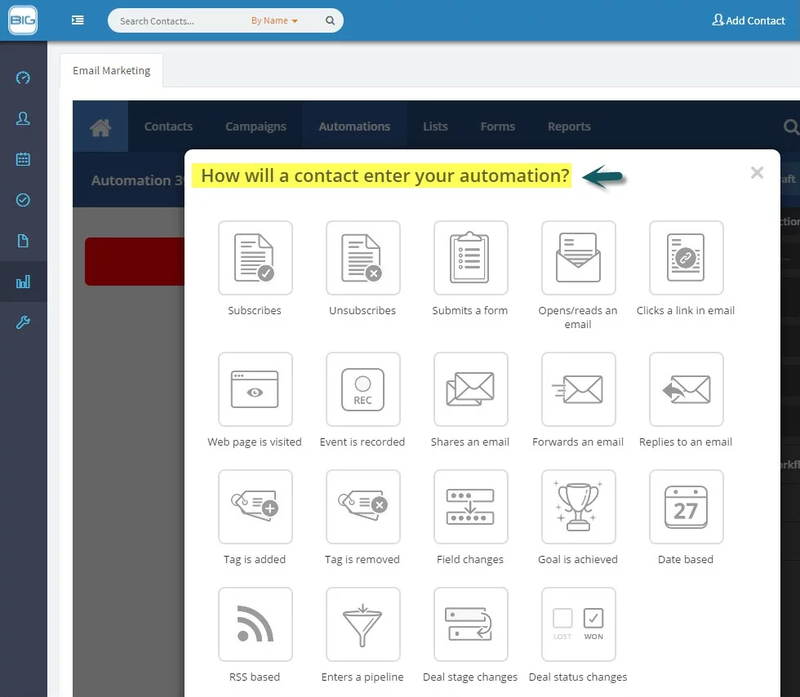 Your email campaigns can also automatically adjust based on whether a contact clicks on a certain link in an email, replied previously or entered a new stage of the sales cycle. All of this is easily customized by you! 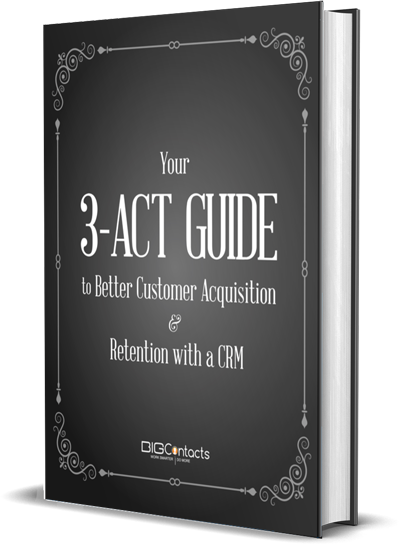 Define exactly what actions you want to take place when your contact replies to an email or interacts with any campaign in any way.